Taking a cue from the Lake Oswego Reads program, Boring artist and painting teacher Beth Verheyden has planned an evening of literary-inspired art. She and her students will present a show of paintings created to interpret scenes from the book "This Road We Traveled" by Jane Kirkpatrick from 4 to 8 p.m. Friday, April 12. The paintings will depict the journey of Tabitha Brown and her family as they travel from Missouri to Oregon in 1845. Brown is known as the "Mother of Oregon," and for founding Pacific University in Forest Grove. For several years Verheyden has worked with the artists' exhibit that partners with Lake Oswego Reads to represent literature through art. This year she thought a similar project for her painting students would make a great local show. "When I got involved with Lake Oswego Reads, it was the biggest challenge I ever faced and the most rewarding," Verheyden explained. "It challenged me to paint from my gut rather than from looking at something. So I decided to give my students the same challenge." Verheyden read four books before settling on Kirkpatrick's work to inspire her tribe of painters. "She is such an artistic writer," she noted of Kirkpatrick. "The way she describes things is like poetry." Verheyden has a few pieces of her own that will be displayed in the April 12 show. 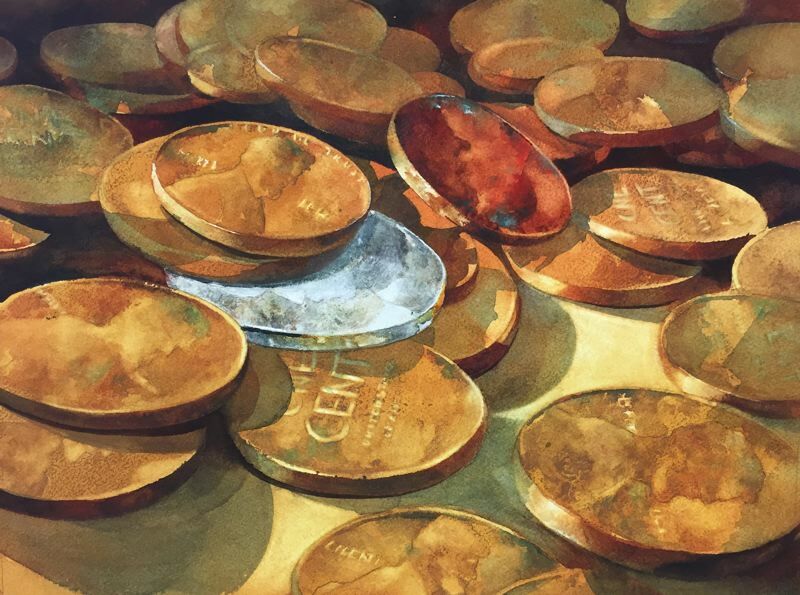 Her work "Hidden Treasures" is a watercolor painting of coins, inspired by a scene when Tabitha Brown finds unexpected coins in the finger of her favorite gloves. 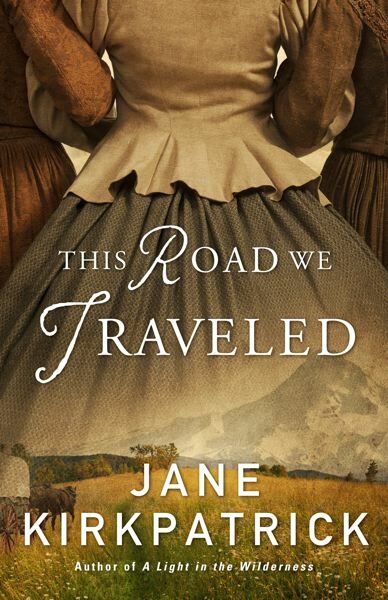 "In 'This Road We Traveled,' Jane Kirkpatrick reminds us through Tabby's discovery of the hidden coins, that blessings and treasures appear in the most assuming places and when we least expect it," Verheyden said. "That's such a true analogy for life. Often we have just what we need, even if we didn't know it was there." Student Steve Ludeman's painting was actually initially inspired by a combination of his love of Oregon Trail history and his wife's love of quilting. 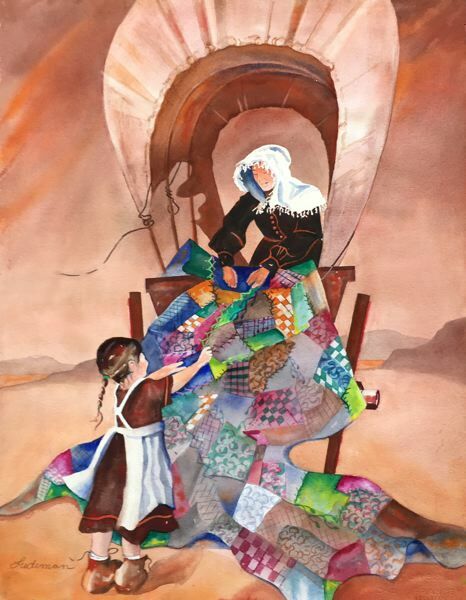 It depicts a woman and child utilizing a quilt from the back of a canvas-covered wagon as shelter. "I started the painting before I read the book," Ludeman said. "My wife is a quilter and I'm a lover of Oregon Trail history, so I decided to represent that in a painting. Then, in the book I found (that) Jane Kirkpatrick describes the Brown family using quilts to provide warmth and protection on cold and sometimes stormy nights." Ludeman's piece is titled "Comfort on the Trail." The event comprises an author presentation by Kirkpatrick with a book sale and signing from 4 to 5:30 p.m. at the Sandy Library, 38980 Proctor Blvd., Sandy. Then all are invited to join the artists for a reception, where books will be available for sale and signing, from 6 to 8 p.m. at AntFarm Café, 39140 Proctor Blvd., Sandy. The reception will include catered refreshments from AntFarm and music by Michael Swanson on oboe and David Blanchard on guitar. The art show will be available for viewing during business hours at the AntFarm from April 12 to 29. All works of art will be for sale with proceeds going to benefit the AntFarm's youth programs. "What I love the most is seeing artists paint from their heart," Verheyden said. "At the core, (expression) is why we do what we do."